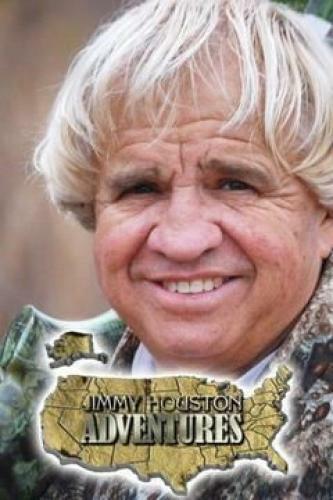 When will be Jimmy Houston Adventures next episode air date? Is Jimmy Houston Adventures renewed or cancelled? Where to countdown Jimmy Houston Adventures air dates? Is Jimmy Houston Adventures worth watching? Jimmy travels all over the world hunting and fishing, big game hunting, bird hunting, along with Bass and Crappie fishing. Jimmy and friends Bobby Bell and Dale Morrell hunt quail in the Texas Panhandle. Larry Rencken calls a Tom off the roost in Texas; Jimmy bass fishes in east Texas with Ron Parker. Jimmy is turkey hunting in Kansas and calls in 3 big Tom turkeys together. Jimmy is turkey hunting in the Texas panhandle and fishing in Mexico with friend Derek Gage. Jimmy Houston Adventures next episode air date provides TVMaze for you. EpisoDate.com is your TV show guide to Countdown Jimmy Houston Adventures Episode Air Dates and to stay in touch with Jimmy Houston Adventures next episode Air Date and your others favorite TV Shows. Add the shows you like to a "Watchlist" and let the site take it from there.